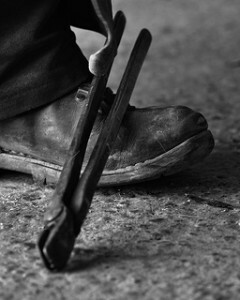 There are so many great farriers out there worth mentioning, but right now we would like to take a look at some of the legends that have made it to the International Horseshoeing Hall of Fame. These great farriers, “have left a permanent, positive impression on their peers and clients.” We remember them today. In addition to putting on shoes for local farms, William Francis Caulder worked at race tracks like the Lexington Standardbred and Churchill Downs. In addition to be part of the International Horseshoeing Hall of Fame, he was honored in 1991 by the Bluegrass Horseshoers Association. As a veteran of World War II and listed on the Notable Kentucky African Americans Database, Caulder’s influence spread across many areas. Tex started work breaking wild horses as a teenager and then moved on to work at the San Angelo racetrack. Drafted into the army as a trained meteorologist in 1952, Cauthon attended the blacksmith program at Michigan State. For the Cauthons, horseracing was, and is a family affair. Cauthon’s wife Myra Bischoff is a licensed trainer and owner. Son Steve won the 1978 Triple Crown and is a member of the National Museum of Racing Hall of Fame. Son Doug is the president of WinStar Farm and Kerry is managing partner of Four Star Sales. Tex shares the distinct honor of being inducted into the Horseshoeing Hall of Fame’s inaugural class. Vern studied horseshoeing at Michigan State in the 1960’s and could often be found around the track in the Buffalo area. As a competitor, Vern represented the US on the North American Farriers Team in overseas competitions. Known for his camaraderie among farriers, Hornquist was always encouraging and showed that hard work can be fun. 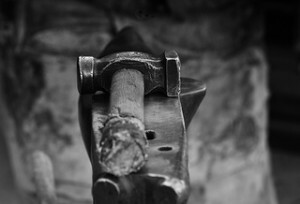 Vern’s son Josh has carried on the family business with Hornquist Farrier Service. The Vern Hornquist Memorial Classic is inspired by his competitive spirit and never give up attitude.